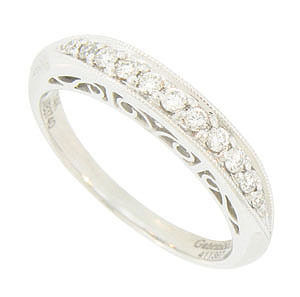 This elegant 14K white gold wedding band is brightly polished and set with a string of round faceted diamonds. 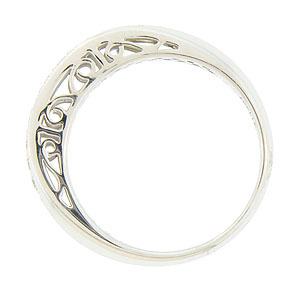 The sides of the wedding ring are embellished with a bold scrolling filigree decoration. The sparkling ring measures 3.29 mm in width. Size 5 1/2. We can re-size.